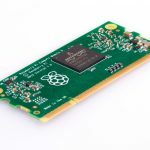 The Compute Module is a Raspberry Pi in a more flexible form factor, intended for industrial application. 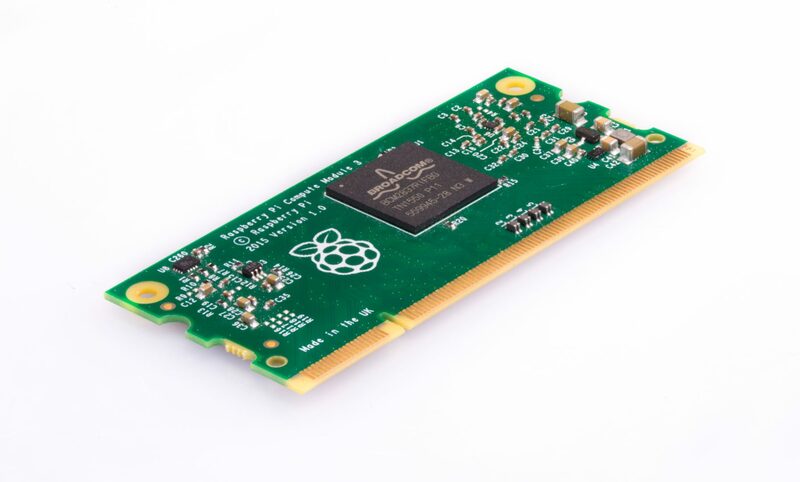 The Compute Module contains the guts of a Raspberry Pi (the BCM2835 processor and 512MB RAM) as well as a 4GB eMMC Flash device (which is the equivalent of the SD card in the Pi). This is all integrated on to a small 67.6x30mm board which fits into a standard DDR2 SODIMM connector (the same type of connector as used for laptop memory). The Flash memory is connected directly to the processor on the board, but the remaining processor interfaces are available to the user via the connector pins. You get the full flexibility of the BCM2835 SoC (which means that many more GPIOs and interfaces are available as compared to the Raspberry Pi), and designing the Module into a custom system should be relatively straightforward as we’ve put all the tricky bits onto the Module itself. 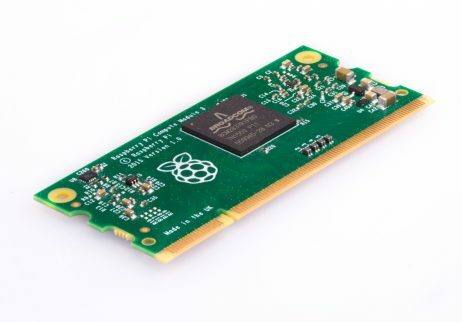 The original Compute Module was replaced by CM3 in January 2017 but is compatible with the new Compute Module IO Board V3, and remains available for sale.